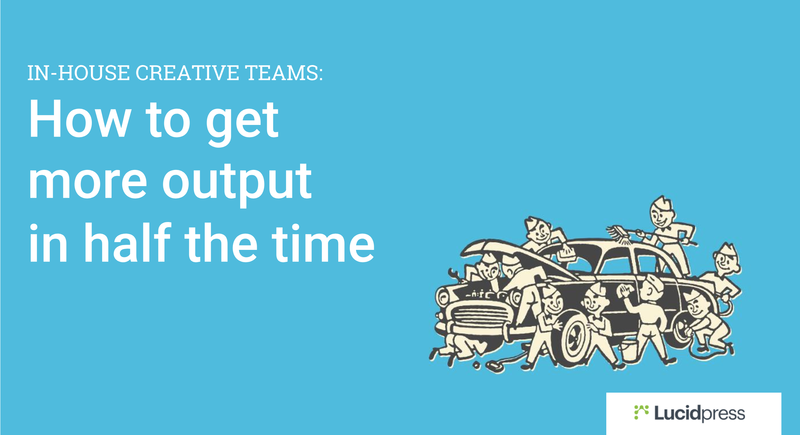 Free eBook for In-house Creative Teams: How to Get More Output in Half the Time . ', failHtml: "
We work in a race. A design race. At the root of that race lies the fact that the design process has fundamentally changed. How can in-house creative teams keep up with the demand to work faster and deliver high-quality content? Based on our popular webinar & blog series (and written by our own Creative Director, Scott Talbot), this ebook provides practical advice for marketing leaders and creative directors seeking to motivate and elevate their design teams.